David Carter! To know him is to love him! Audio only version is above, but if you have time to watch the full 11-minute interview below, I think you will enjoy seeing this man’s man in the flesh! There is also a :60 clip from the full interview below. 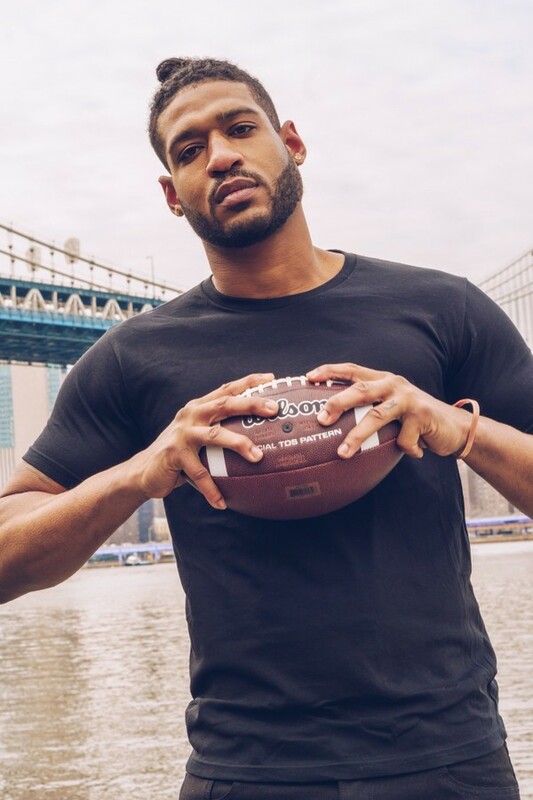 Tough guy and former Chicago Bear, David Carter, sits down with Elysabeth Alfano to discuss The Bears, his diet, workouts, food deserts, strength and masculinity. 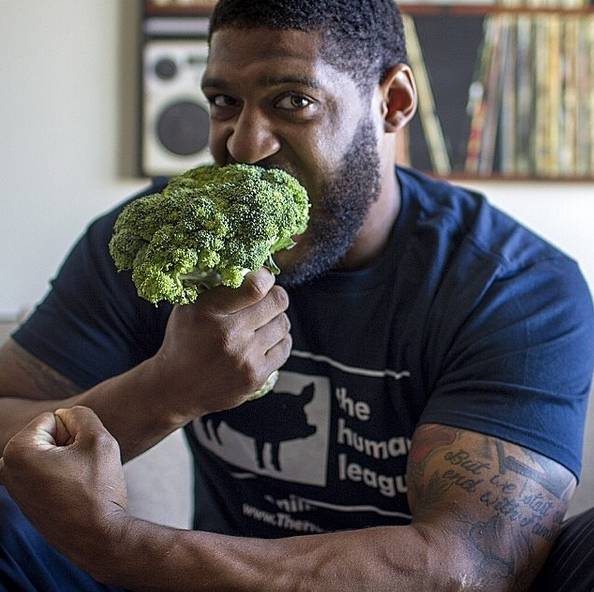 David explains how a vegan diet helped him gain weight and strength for his football season, and he even changed the mindset of other players. Maybe it’s not what you think! 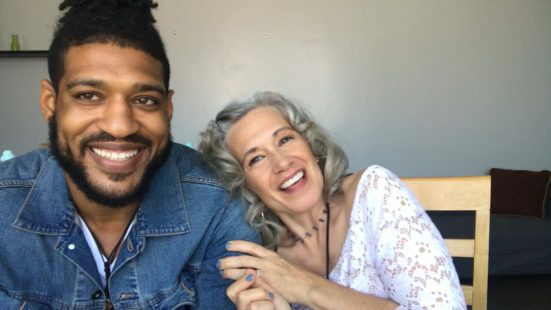 Enjoy this candid and no-holes-barred conversation with this lovable giant from the Switch4Good No-Dairy Athlete’s summit. David Carter is an inspiration for manly men everywhere! Showing just how manly he is, here is a quick snippet from the full interview.